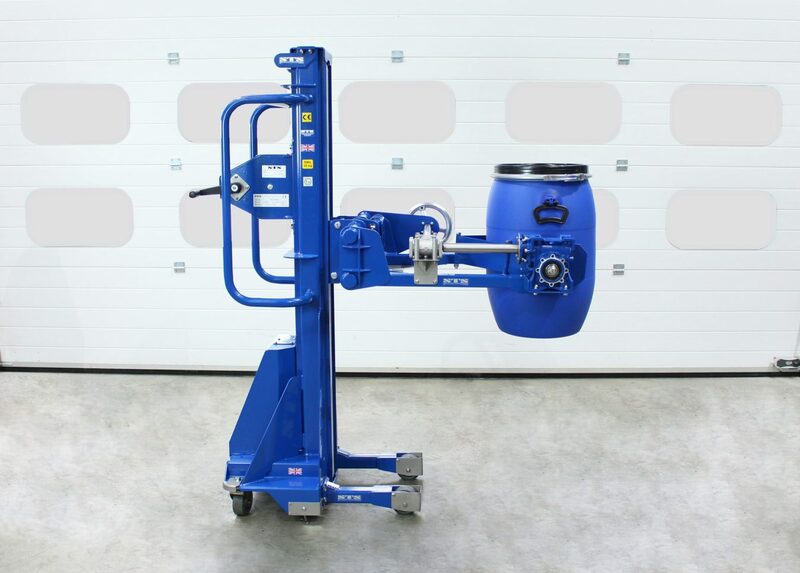 We built this ATEX-certified manual counterbalance drum handling unit for lifting and tipping drums of up to 35kg in potentially explosive atmospheres. A composite manufacturing company approached us to develop a compact drum tipper. They needed to be able to lift small drums of resin from pallets and then tip them into chutes contained within extraction booths. Our customer asked us to design the drum lifter to be manually powered, given their low utilisation and ATEX requirements. 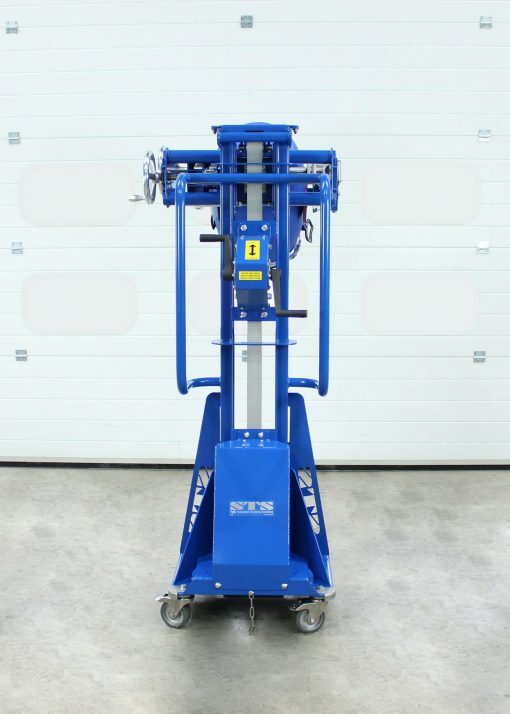 We began the design process by using our Bowl Tipper chassis as a basis; it was important to our client that the ATEX drum lifter was both short and narrow. 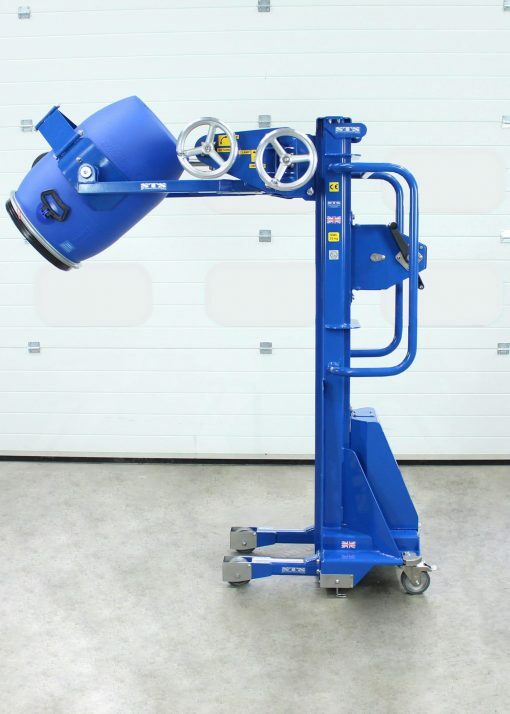 Our experienced designers developed a bespoke head assembly, which featured manual drum clamp and rotation. When designing ATEX equipment for a hazardous area we must consider electrical continuity; the unit cannot generate any sparks in an ATEX area. We earthed all components and provided earthing chains to safely dissipate static build-up. Areas likely to contact other items (e.g. legs) are shielded in stainless steel, which eliminates the risk of thermic strike. anti-static wheels and other ATEX features.